At one time or another, I'm sure we've all shopped at an online retailer who promises our purchases are "giving back" or funding a great cause. But, when have you actually seen what you've funded? Every Bartley's order comes with a card showing a special code number. Visit the "Enter Your Code" tab on the website, type in your number (ours was 110043) and viola... you'll see exactly who's life you helped to save! I think this is incredibly cool! 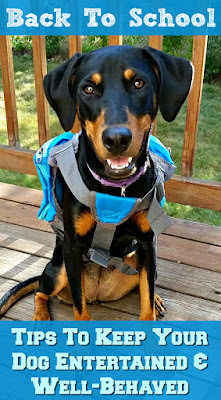 Not only do you have the satisfaction of supporting a rescue dog in need (all while making your dog incredibly happy with his or her new treats and toys), but you actually see that dog and read that dog's story. One word; brilliant. Dan Freeman is the man behind this brilliancy. 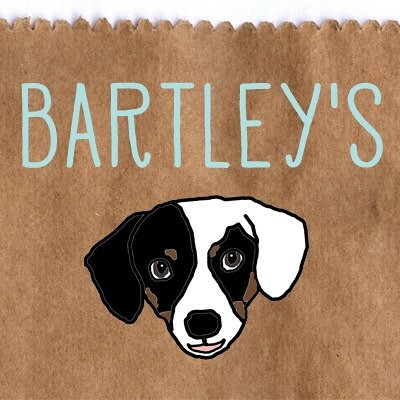 He founded Bartley's, which is named after his own rescue dog (yes, that's his adorable mug in the logo), in 2013. Dan was volunteering for a couple of rescue groups 3 years ago when he and Bartley's paths crossed, and the rest was history. After seeing the great need of funding for surgeries, vaccinations, spay/neuter and even food, Dan knew he had to help make a difference. He also knew he only wanted to sell USA-made treats and high quality toys, proclaiming "If I won't give them to my dog, we won't sell them." You can read more about the Bartley's story here. Now, let's get to the fun part... the goodies the Lapdogs received for review! 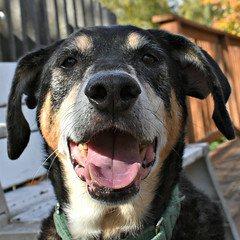 And, yes, if you hadn't guessed already, the Lapdogs are giving Bartley's their official 16 paw up seal of approval! Tux from West Paw. 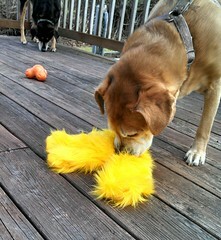 A recyclable, stuffable, bouncy chew toy that is Made in the USA and guaranteed tough! You can stuff Tux with treats, peanut butter, cream cheese or just about anything your pup's heart desires. Tux even floats and is dishwasher safe! Zuke's Z-Filets. The Lapdogs went nuts for these tasty beef treats (also available in chicken and venison). They are grain-free, high protein and of course, Made in the USA. I love that meat makes up 80% of the content, and I can easily break them into smaller pieces for training. 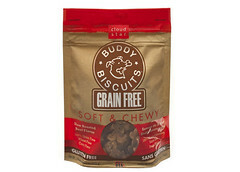 Soft and Chewy Buddy Biscuit Grain Free Treats. These are no stranger to the Lapdogs, who drool over the cute little buddies. 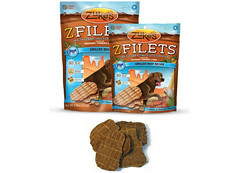 Available in beef, peanut butter, chicken or cheddar, there's sure to be a flavor to please every pooch. 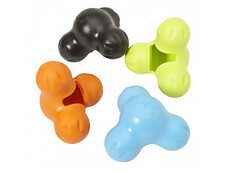 And, they're perfect for dogs with allergies or those who need softer treats. Not only does Sophie love Mr. Salsa (and yes, that's Tux in orange you see briefly), her siblings are equally fond of him. I have a feeling I might be ordering a couple more of these funky guys very soon. I hope you are as excited to support Bartley's as I am! 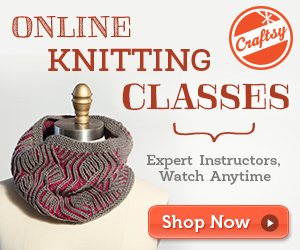 How would you like to win a gift certificate to get your started? Now, here's the fun part for you! Dan and Bartley have so graciously allowed me to give away a $35 gift certificate away to one lucky ready so you may try Bartley's for yourself! Deadline to Enter: Wednesday, June 18, 2014 at midnight. One winner will be drawn by random number generator. Disclosure: Bartley's sent the above mentioned items to Lapdog Creations, free of charge for review purposes. I was not compensated for this review and all opinions expressed are my own. Ruckus the Eskie ruckustheeskie at gmail dot com Ruckus wants to win a Mr. Salsa! I already liked your FB page! 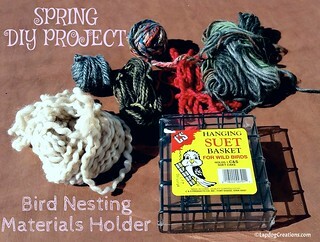 I just liked Bartley's FB page! Us Beaglebratz wood LOVE tue shop at Bartley's. We checked out their store an'they gotta Zippy Paws BEAGLE that we wood love tue haf - an'love Zuke'z treatz tue ! I love seeing small business succeed. Love the Tux. Love seeing small business succeed. Love the Tux. 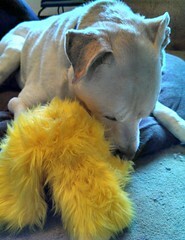 Sophie is very cute with her new toy! Oooooo, that stuffie looks like funs guys!!! Those look like quality treaties and FABulous toys! Anyhu, I would loves to shop there cause I loves quality stuffs AND helpin' other doggies!!! WIN - WIN!!! Thanks for the giveaway! very cool! 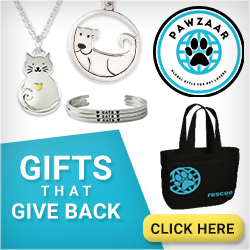 I want to shop because that is PAWsome that you can see who you are helping! How cool is that! I follow Bartley's FB page too! 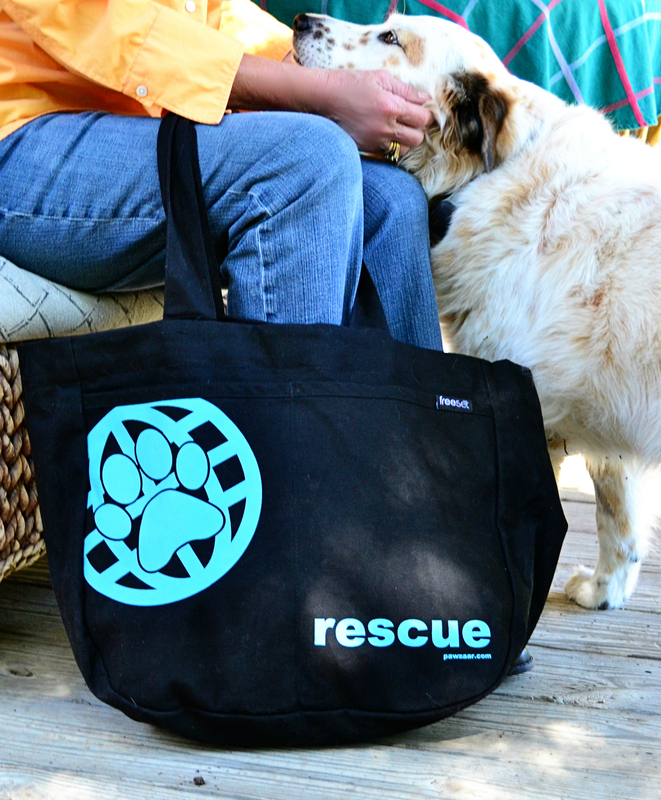 I love the fact that each you shop, you sponsor a rescue dog. Very cool! I like the pup-pie! My dog had her 3rd birthday 2 months ago, and I gave her a human cupcake.... and a stomach ache. A little party cake for dogs! Clever! We already like your FB page. We liked Bartley's FB page! What a great idea! I really like that you get to read about the dog you help with your purchase. 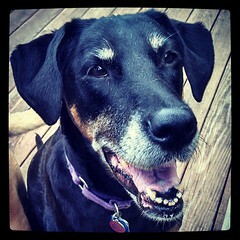 Of course, quality ingredients are important but I really like helping dogs while getting my dogs treats. Liked both fb pages. Great contest! I have five Treeing Walker Coonhounds and three cats - all rescues. I love getting them toys and treats, in addition to their regular food, but with 8 furbabies to buy for, it would be great being able to win this giveaway and get them something extra special. I like Bartley's page on Facebook. Mom Kim here - I liked your page a while ago. 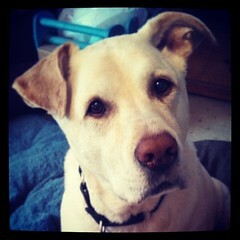 Mom Kim here - I also just liked Bartleys FB page. I'd like to shop at Bartleys because they carry a variety of items you can't find at other places. I love trying out new shops! I want my human to win so I can get an interactive toy! I really, really need one of those! I have never heard of Bartley's, but would LOVE to give them a try & with my monster mutt, she can never have too many toys!!! Small businesses rock! 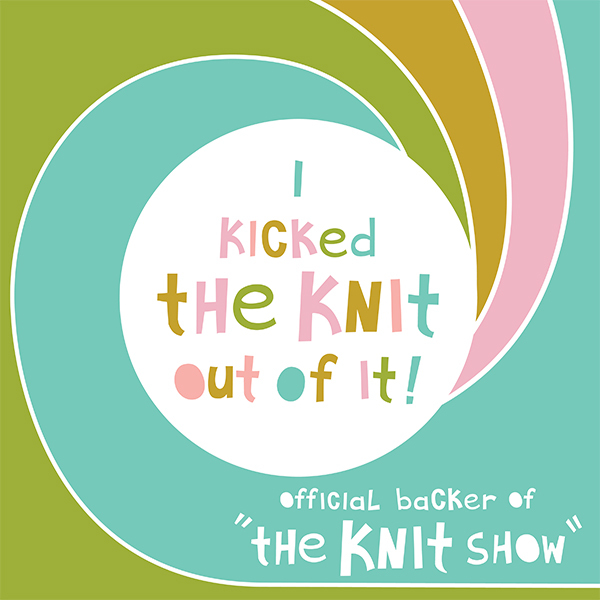 And i'm all for supporting them! I have just started my own handmade jewelry business over on my blog, so I like to give 100% support to others. Great giveaway! Thanks for letting me know about it! We spoke today via email, so I you have my email addy. Have a great day! Oh and I liked both pages! Oh yes, we hope we're not too late to sign up for the giveaway. Our Mom hasn't been feeling so good so she has been neglecting her computer duties lately. We'd love to get some new stuff.